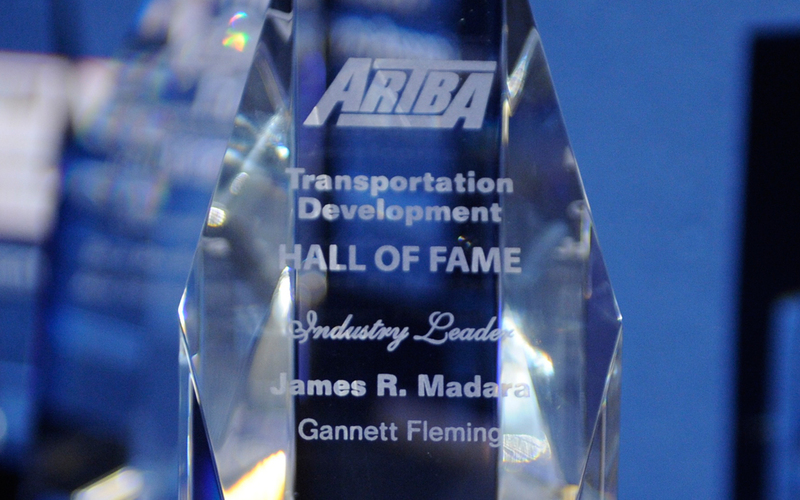 Nominations are due June 26 for the 2015 class of inductees to the ARTBA-TDF Hall of Fame. The program honors individuals whose inventions, ideas and leadership have contributed significantly to the growth and strength of the U.S. transportation network. Transportation Design & Construction Industry Innovators: Honors the men and women who discovered or created a “game changing” product or process that significantly advanced transportation design, construction and/or safety. It seeks to honor the original innovator. Transportation Design & Construction Industry Leaders (Individuals or Families): Recognizes men, women and families who have made significant contributions—beyond just having successful businesses or careers—that have notably helped advance the interests and image of the transportation design, construction and safety industry. Anyone can nominate a candidate, and ARTBA membership is not required. Individuals can be inducted to the Hall posthumously. The selection process is extremely competitive, and only a very limited number of individuals will be inducted. Nominations must be submitted online at www.artbahalloffame.org by June 26. Contact ARTBA’s Program Manager Kashae Williams at 202-289-4434 with questions.